Chennai: Quashing the AIADMK-led state government’s opposition, the Madras High Court granted permission to the DMK to bury the mortal remains of former Tamil Nadu Chief Minister, M Karunanidhi, in Chennai’s Marina Beach, media reports said. The DMK moved the High Court on Tuesday night after the party was denied permission to bury Karunanidhi’s mortal remains at Marina Beach, where former Tamil Nadu Chief Ministers- CM Annadurai, MG Ramachandran and J Jayalalithaa- were covered. Following the verdict, several DMK supporters erupted in joy and Karunanidhi’s son MK Stalin broke down in tears, media reports said. 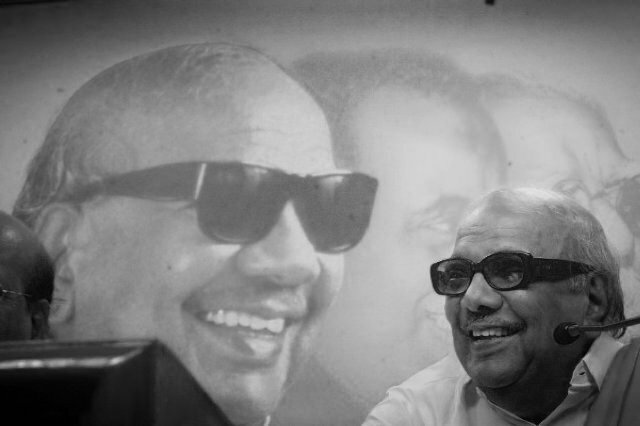 Karunanidhi, a five-time Chief Minister of Tamil Nadu who had switched to politics from screenwriting, died at an age of 94. He passed away Tuesday evening at Kauvery Hospital in Chennai where he was admitted. The country is observing a national mourning day on Wednesday due to the demise of the former Tamil Nadu Chief Minister.